Bedroom furniture is special furniture mainly for the bedroom, although there are many things that can be considered as- and as-not bedroom furniture apart from bed of course. Let us see which are the most likely places for you in the UAE, let it be Dubai or Abu Dhabi, where you can get the best furniture the quickest way. Look up some inviting sites and visit a couple of places we mention to you, to get really the best and most suitable bedroom furniture for you. First, the most fitting shopping malls you can go to are the Mall of the Emirates, the BurJuman Shopping Mall and the Dubai Outlet Centre. All these comprise several brands that deal with bedroom furniture such as the The One Dubai, a good quality dealer of furniture, or the Home Center, which by now has become an international company being present in Northern Africa, the Middle East and also in India. 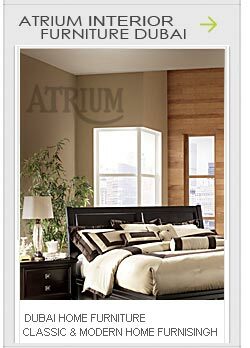 Home Center deals with all sorts of furniture types including bedroom furniture too of course. Yet there are brands just like the Lucky in Sharjah famous for its fine quality wooden furniture. Most shopping malls have some great stores, especially the Mall of the Emirates that gives home to the highest number of furniture stores and interior design stores including interior decoration and accessory stores. 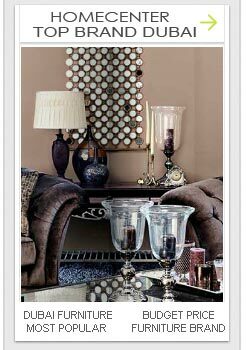 Some of the most known brands here include Bo Concept, Villeroy and Boch, Zara Home, Home Sweet Home, Bois and Chiffons and many- many others. IF you want to buy electronics then look for the biggest Carrefour located within the Deira City Centre. Nearby the Mall of the Emirates, you will find the shop of Pan Emirates, which is indeed not an airline but a very nice furniture store, where you can get all sorts of different furniture, not to mention bedroom furniture. If you want to find other stores outside of malls, then you should go to the Karama district that is the most famous district of furniture, all sorts of bedroom and living room furniture that exists. You can get the cheapest furniture here, yet there are some pricey stores too, so you may need to watch out where you buy and what to buy. Most of these stores are also present in Abu Dhabi, especially Home Center and Homes R Us which is another very well know Dubai brand for everyone who wants to buy all sorts of bedroom furniture. And of course, we should not forget about the IKEA, which is we can say represents the most successful ever furniture and lifestyle selling concept in the whole world. IKEA was created to be liked and you will surely find something here that fits your state. IKEA has by far among the biggest variety of all sorts of furniture, including a department for the bedroom furniture too. This is really a store where if you get in, it is unlikely that you get out without anything in your hand. There is IKEA both in Dubai and Abu Dhabi and we can guarantee that there will be one soon also around Sharjah, Al Ain and Fujairah. Of course, it is not the end because you will get to see many-many cheap and expensive furniture and bedroom furniture stores in Dubai as well as in Abu Dhabi, the capital of UAE.